I’m a firm believer in the science of smoking meat, and one of the most important components of this process is good temperature levels. If you are barbecuing without a reliable thermometer then you are essentially working with a blindfold on. You won’t know if you are over or under cooking your meat, meaning it will be at best dry and at worst dangerous. Put simply, getting a good thermometer is one of the best investments you’ll make as a smoker owner. Pretty soon you’ll more than make your money back through beautifully cooked food. A good thermometer doesn’t have to do too much, but at the very least it should be able to free you up from continually having to check the progress of your smoked meat. Note that this article is for smoker thermometers. 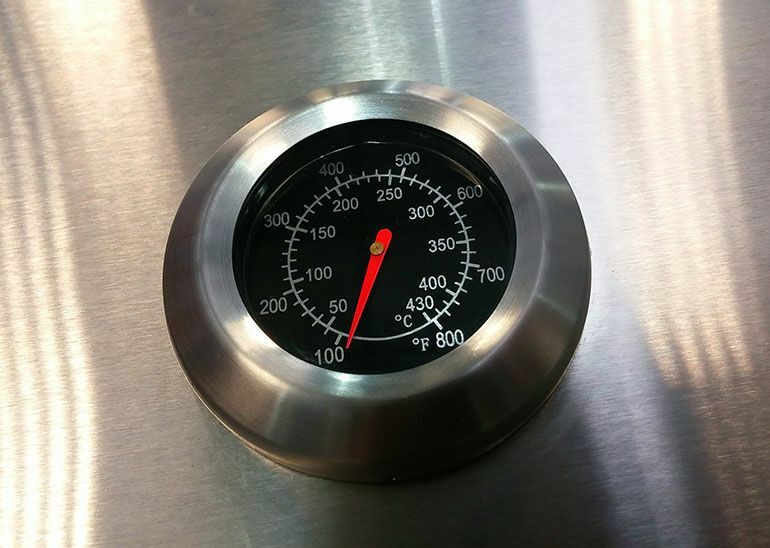 For grill thermometers, check out my guide here. This is the budget option, and perhaps a good entry point for newcomers to smoking. Put simply, if you’re after something cheap and simple then this is the thermometer for you. However, don’t be put off by its small size and low price: It’s surprisingly efficient. It has a large and clear display, and can work well in different grill or smoker types. 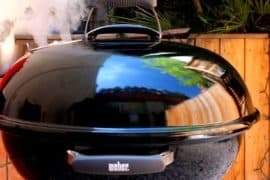 At this price however you’d expect some cons, and unfortunately the Weber is no different. 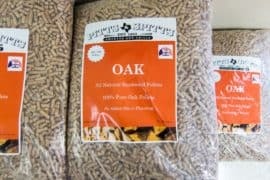 Its biggest drawback is that it can’t be left in your smoker. This is a big design flaw in my opinion, and adds a lot of inconvenience to temperature reading, meaning you’ll have to open your smoker to read the temperature. This will let hot air out, in effect giving you an inaccurate read. Also, it takes 30 seconds to take a reading. This compares poorly to other thermometers, and undermines its claim to be ‘instant’. However, it’s a great option for people who are unsure about investing more in a thermometer and, at its current price, I can’t fault it too much. No list would be complete without a mention of the Maverick Dual Probe. It’s long remained one of the most popular and highly rated smoker thermometers on the market, so to miss it out would be criminal. 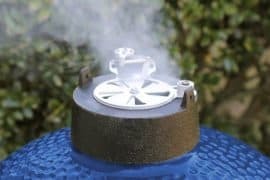 Its dual probes allow you to keep an eye over both the meat temperature and the internal temperature of your smoker itself, all while being up to 300 feet away. Its two probes are incredibly durable, and can withstand temperatures of up to 700°F. For smokers, this offers is not a limiting factor at all, as smoking temperatures tend to lie in the 150°F to 200°F region. This is a particularly good choice for beginners as it comes equipped with 15 preset temperatures and timers for specific cuts of meat (check out my guide to the best kinds of meat to smoke). Of course you can do it manually, but smoking can take a lot of practice so this is a welcome feature to have. The preset cooking settings are easy to set up and use, and you’ll be notified of your meat reaching its target temperature with an alarm. As well as this, it’ll notify you if your temperature reader is out of the probes’ signal range. It’s a little feature, but it’s a nice one to have. 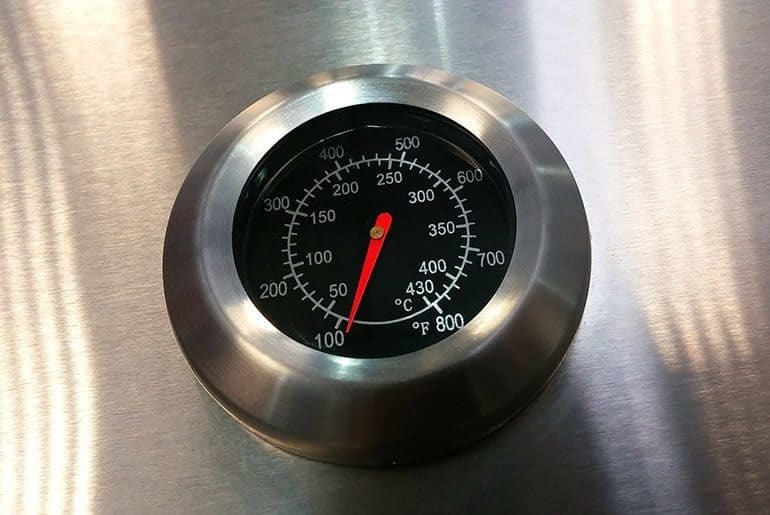 Charcoal or wood smoker temperatures are notorious for being difficult to control, so this reliable and user-friendly thermometer is perfect for newbies and seasoned BBQ enthusiasts alike. It may look like a simple device, but the Mister Chefer packs in a feature that not all thermometers can claim to have: It’s waterpoof. This protects it against condensation and smoke in your grill, adding another level of durability to the probe. What really makes this thermometer stand out is its speed. It has an excellent reading time at just three seconds, and its wide reaching temperature range makes it perfect for usage beyond just smoking. All of this packed into an easy-to-use model with a durable, cool design. A great smoker thermometer. This is one of the simpler electron thermometers from ThermoPro, and it keeps things simple. This also means that it’s cheap so if you’re operating under a strict budget then this could be the one for you. Its best features are its target temperature and countdown. You use these by selecting your meat, and its preset will determine both the internal temperature your meat needs to reach, and how long it should take to achieve it. For a beginner who doesn’t want to splash out too heftily, this is a great thermometer. You may not believe your eyes, but this device has the long wireless range as it reaches to 325 feet! It is amazing that the technology can improve a simple instrument into something as magnificent as this one because this thermometer offers the features that can make every chef’s heart to burst with happiness. While the material consists of three probes and other spare ones for withstanding the high temperature, there are 15 previously programmed temperatures for the varieties of poultry and meat. If there is a case that you are a busy person, surely this device is for you! It offers the meat timers which can alert you if there is an occurrence of overheating of your cooking. This situation is described in the flashing of the LCD screen when the heat exceeds the target temperature. The brilliant features can bring the excitement to every consumer hence why this device is also a favorite smoking thermometer in every party event. We can describe it as the best smoker thermometer and heavy duty with Bluetooth. 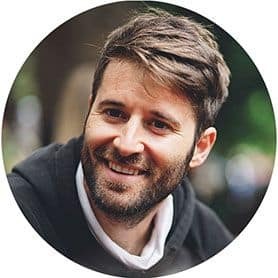 Regarding the battery life, it can run up to 200 hours, and it may be the good news for anyone who may not have the time of the world to change any batteries in his or her busy life. If you inspect the material, there are four probes which we can use at the same time, with the two probes characterized as resistant to the high temperatures and the steam. You may also set your cooking with the temperature alarms. You can never experience the panic and the frustration of burning your grilled meat while being the host of the night party. In these kinds of days, you may use it in any weather due to the durability of the product. The compatibility with Android and IOS devices is found to be successful as this may be the life of the future. Isn’t it remarkable that we can connect our phones while cooking the most delicious grilled meat on Earth?